When it comes to making the most out of an outfit or an accessory, I am 100% there. I like to buy items that I can dress up or dress down so I get the most use out of them, especially when it’s something I really like! We’ve got four weddings booked in for this year which I already have all of the outfits for so I wanted to find an occasion shoe that I could wear with all the outfits and then wear them time and time again. 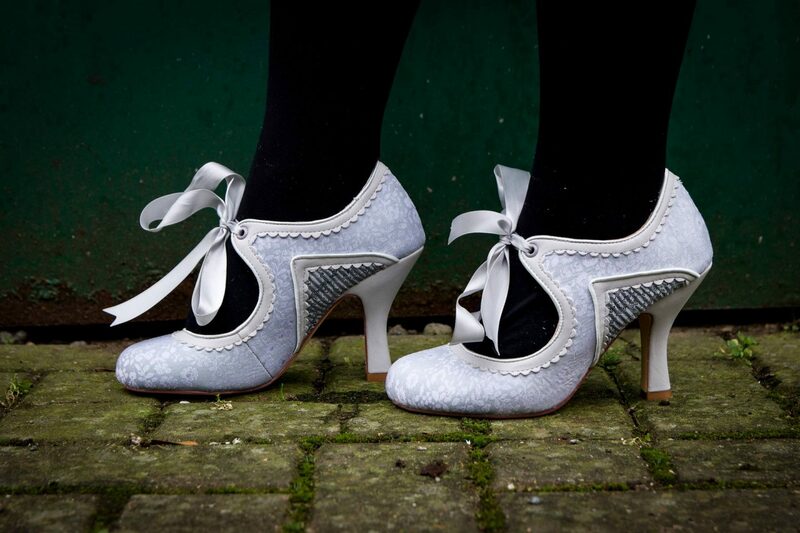 I managed to find the Perfect Bridal Bianca vintage Mary Jane shoes in a stunning pearl grey lace and leather that would go perfectly with so many outfits! 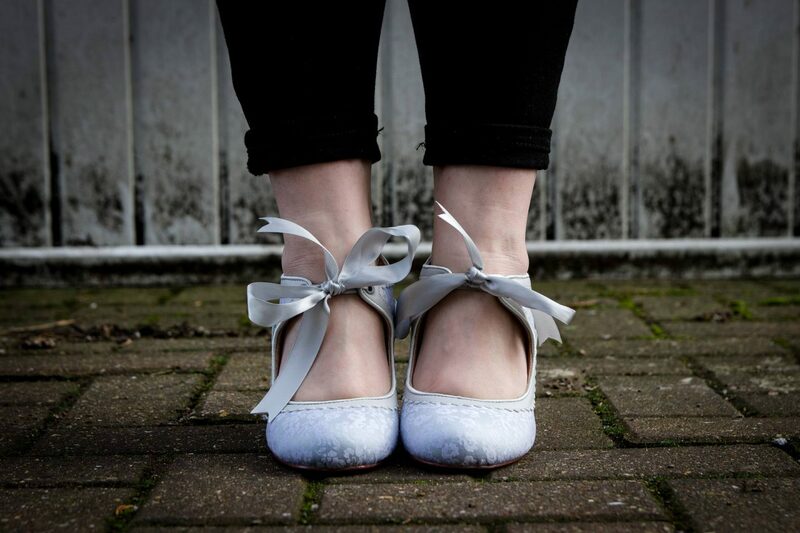 They have a soft scalloped leather binding that means they don’t rub at all, a leather-covered heel and pretty satin ribbon tie to make them that little bit cuter. They also have a floral organza layer that has a slight hint of silver glitter which is layered over embossed satin. There’s also a little peephole through the concertina lace which makes the shoes really breathable for the warmer weddings. I’m not going to spoil what I’ve got to wear for those four weddings but I am going to share with you how I’ve worn the shoes already. You may think I’m mad wearing them before the big occasions but I just wanted to make sure they’d be perfectly comfortable to wear for the full day as we’ve all made the mistake before of buying new shoes and not testing them out! 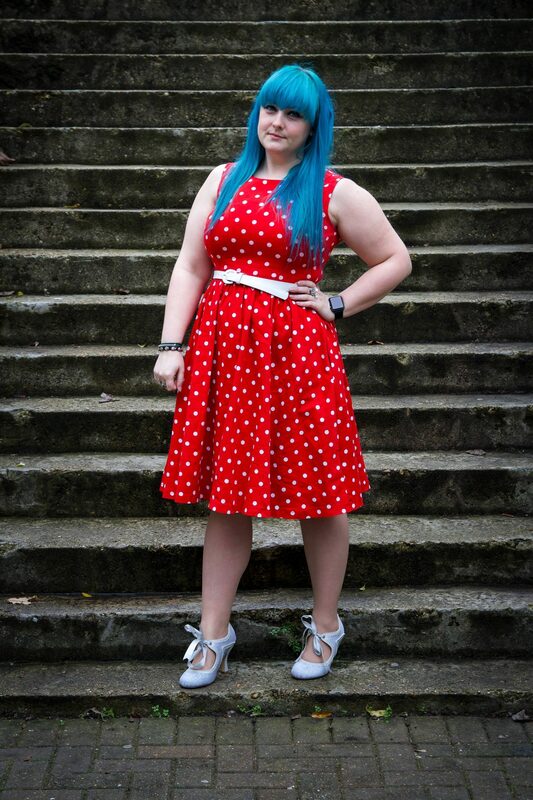 Ah, my trusty Polka Dot dress from Lindy Bop that I’ve been wearing for maybe a good four years now, but it washes well, travels well and works super well with both frilly socks and my classic Dr Martens and a pair of banging heels. Mike and I recently celebrated four years together so I thought I’d glam up a little! I didn’t want to buy a new dress as I own so many and am really trying to scale back my wardrobe and spending so this was a cute enough outfit for a nice local meal just to celebrate a little, personal milestone. 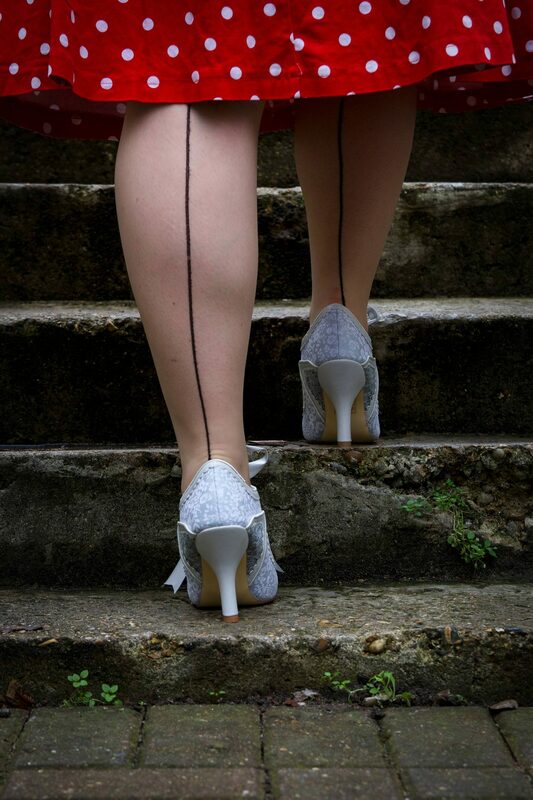 I just love how the line up the back of the tights make the dress look so much more classier to tie in with the lush shoes! 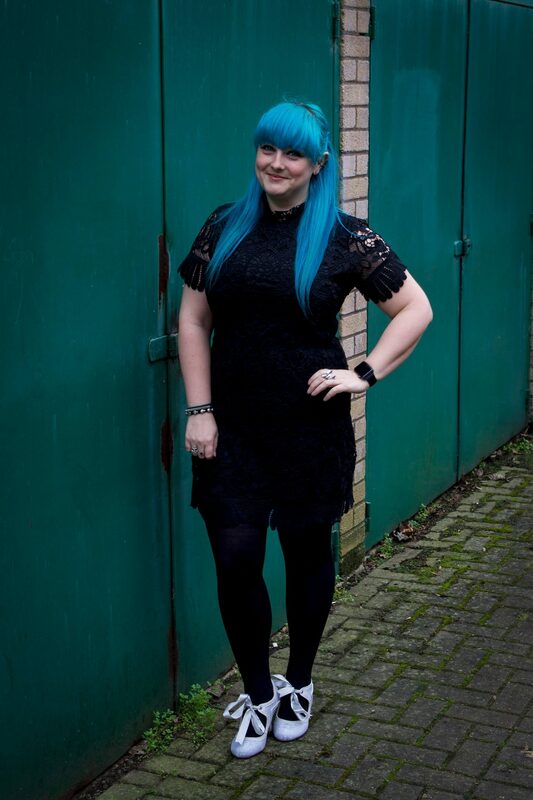 Ok, so I may not have a job up in London anymore but this dress was a favourite of mine to wear to work with my favourite Leonore Dr Martens so I’d be super comfy for the commute and then I’d stick on a pair of glam shoes for heading out after work. I actually wore this outfit to meet my girlies for our monthly dinner and drinks and it went down a storm. The dress was a £30 bargain from my friend’s store, The Fashion Basement, and I love how versatile it can be. It has been washed so many times and has powered through very well! I was a little worried at how well the light shoes would go with such dark tights but I really liked the pop of colour. We often head out with both sets of our parents for Sunday lunch as our families get on really well, so I like to dress a little nicer than just casual but don’t ever like to be overdressed when eating as I can feel mega uncomfortable and self-conscious! I am all about the comfy life! So I like to team my George of Asda Ultimate Skinny Jeans in Black with whatever my favourite shirt happens to be at the time. At the moment I’m big into this blue leopard one but I can also be found in my red cheetah print one or my silky red leopard shirt! 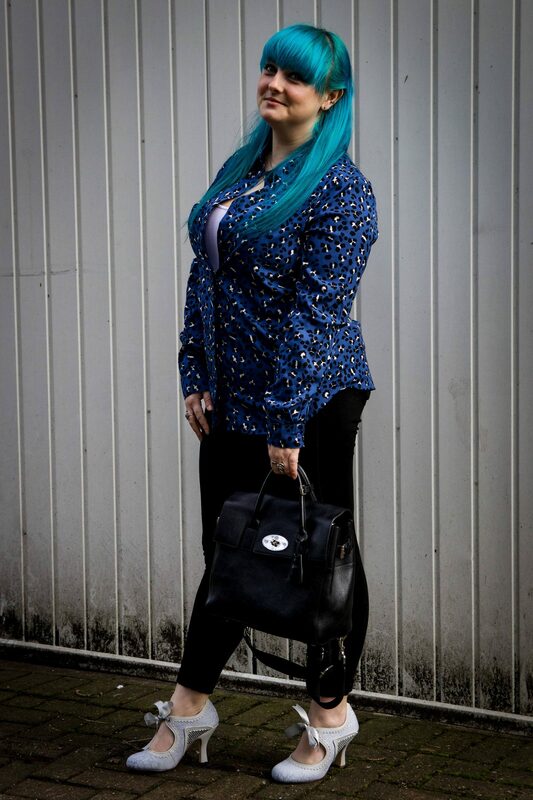 This is the perfect smart casual combo but in quite a funky way! I like to take my Mulberry Delevingne backpack as it’s a great size of my purse, camera, keys and all the other junk I like to carry around with me. It helps to dress up the outfit a little more too. The shoes are just so soft and comfortable that I can happily wear them without socks on this type of occasion. I always wear a little white vest under my shirt to match with my shoes as I’m really particular about having aspects of an outfit that matches! See, I told ya I love to make the most out of an item! Are you the same?